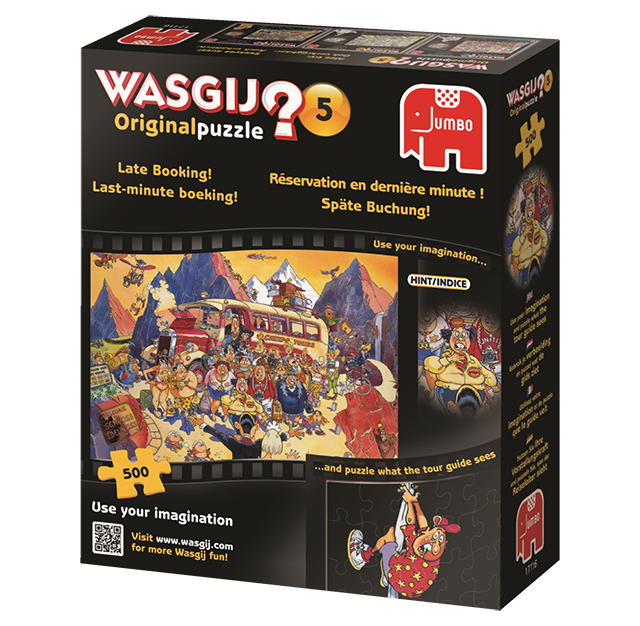 The special edition Wasgij Original 27: The 20th Party Parade! 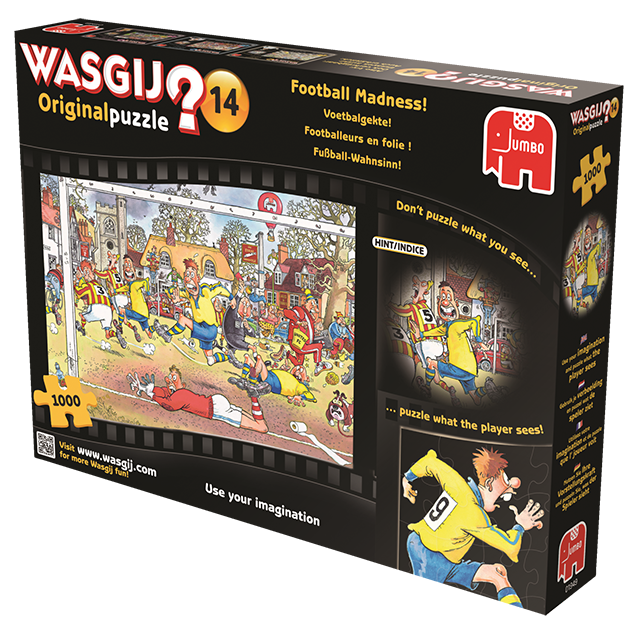 depicts crowds of familiar-faced fans who have all rushed out to buy the special edition Wasgij jigsaw puzzle! 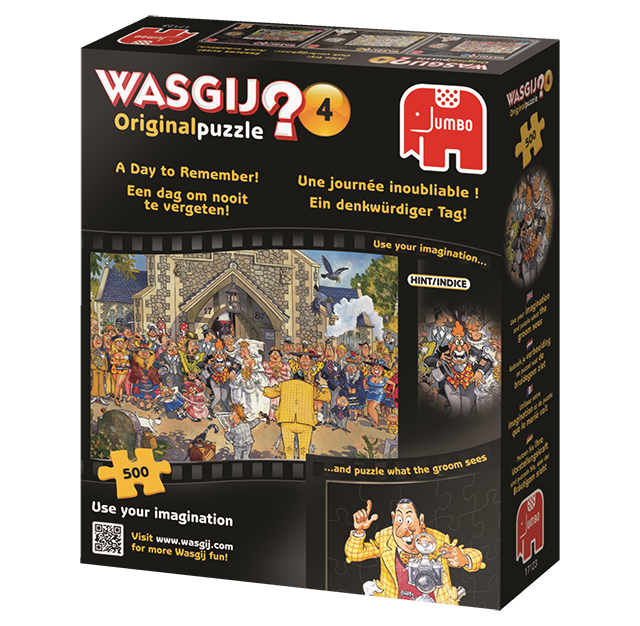 While everyone scrambles to grab their favourite Wasgij puzzles, something has caught their eye outside of the store. Who or what could be outside of the shop to make so many Wasgij fans so delighted? Try to imagine you are the Vicar in the black top and piece together what he can see. 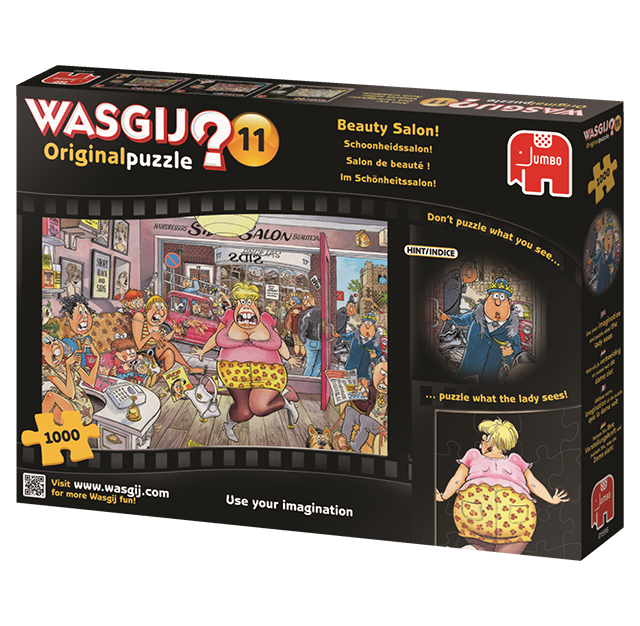 Plus once you have finished puzzling together the fantastic 1,000 piece Wasgij solution puzzle, you can then puzzle together the FREE 1,000 piece box image puzzle!